Ninety years ago laboratory equipment and safety standards were a little more relaxed than today! Circa 1928. “Takoma Park, Maryland. 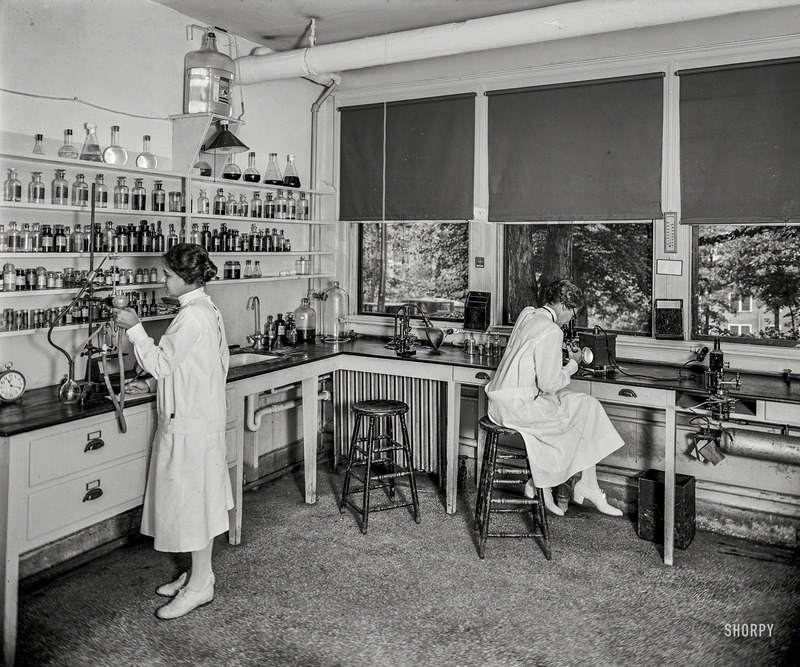 Washington Sanitarium laboratory.” National Photo Company Collection glass negative.